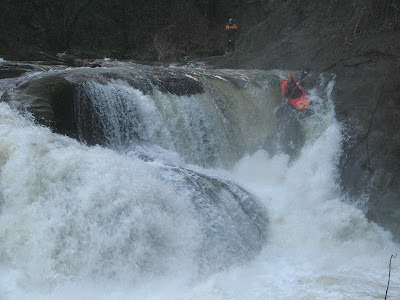 Keel Brightman on the first rapid on Lacamas Creek, Washington. This rapid was very deceiving today. With the boils coming out of the damn and the folds coming into the drop it was tough to keep your hair dry on this one. 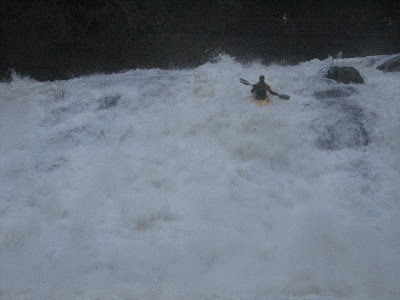 Kim in the fold on the first rapid. 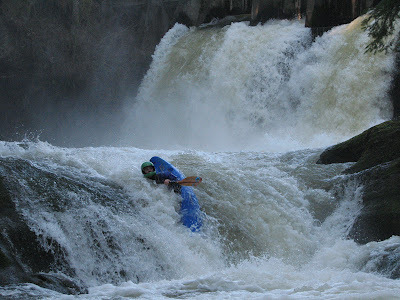 Christina in the fold on the first rapid. 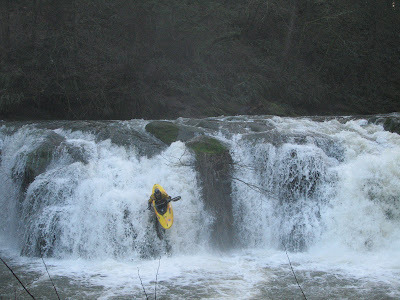 Keel running the far left line (door #1) on the second falls. Jarred Jackman running door #3 on the second falls. Keel lining up the lead in to the final slide. Heading left with too much angle & speed. Jarred on the final slide. Good times and fun lines! It was great to get a warm up on Hagen before dropping in on Lacamas. Euphoria Falls (on Hagen) was a great warm up to the final slide on Lacamas. 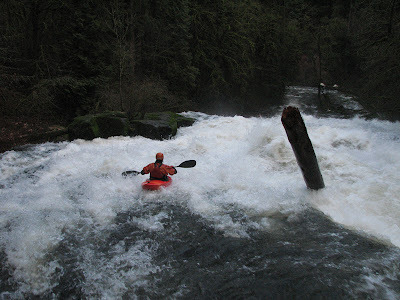 This section of Lacamas Creek was first run by Paul Hefernan a few years ago. 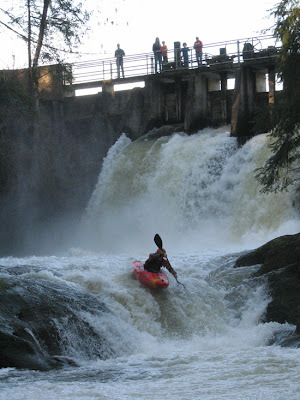 In the last couple years it’s become a novelty run for local kayakers. 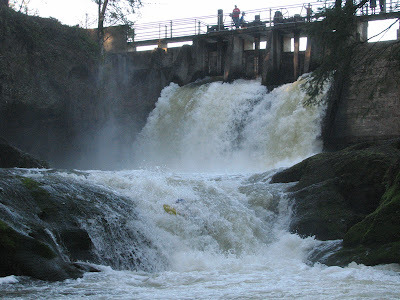 The run is only 1.5 miles long with 3 rapids and there is a popular mt. bike trail along the creek, from Lacamas lake to Camas.